We've all had tough days on the job, when everything seems to go wrong. These days usually start off rough and just get rougher. And it's nearly impossible to turn those types of days around; you just have to fight through it, get to bed, and hope tomorrow is better. When you're an inventor, you're kicking down the doors of science and making those stuffy old science guys' monocles pop out with your inventiveness. 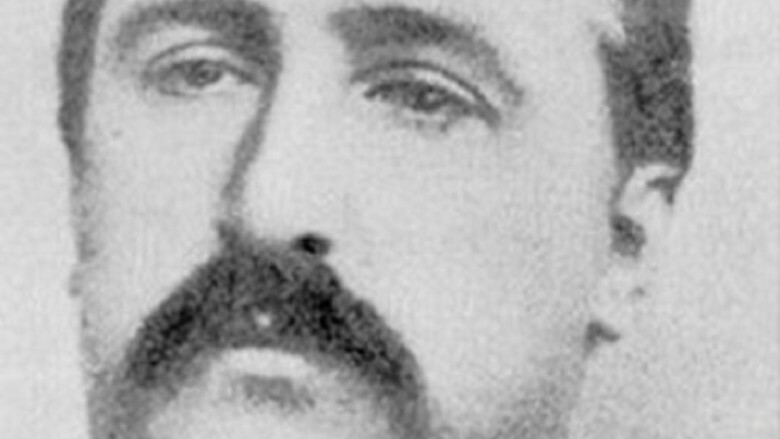 When an inventor's day goes wrong, it can go really, really wrong. That groundbreaking invention just might turn on its creator murderously — accident or not. All these inventors would totally back us up on this point … if they were still around. We'd like to think all these dead inventors are still tinkering away in the afterlife, taking things way past the point of sanity. 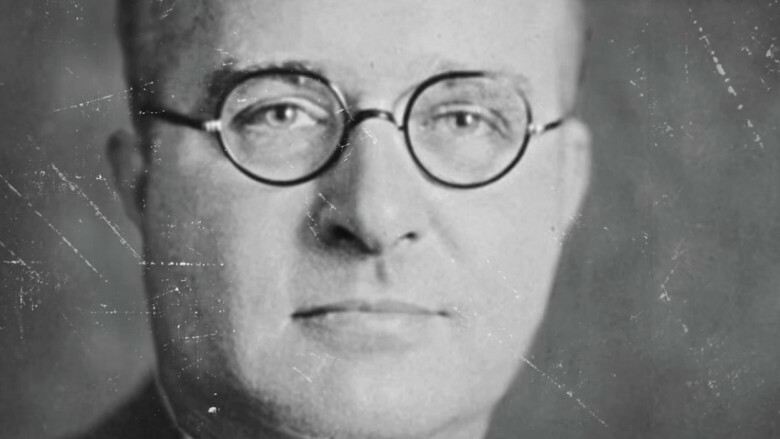 Thomas Midgley Jr. was a chemist who solved a lot of tough issues with early autos, like "engine knocking," while working for General Motors. He basically came up with the idea of putting additives in gasoline, and he's the reason your engine doesn't sound like a constant barrage of fastballs pelting the inside of your hood. He also introduced leaded gasoline and chlorofluorocarbons (CFCs) into the world, which have the potential to destroy the atmosphere and therefore life on Earth — but hey, you have to take the bad with the good. In his later years he was hobbled by polio, and he devised a harness with a series of pulleys to help him get out of bed. It strangled him one day while he was trying to get into his wheelchair. He meant well. Sabin Arnold von Sochocky invented glow-in-the-dark paint, which he cleverly called Undark. He imagined entire houses bathed in Undark's glow and had a successful factory producing thousands of glowing watch dials daily. That is, until his workers started dropping dead, because his product was freaking radioactive and super deadly. Despite a lawsuit being settled in the surviving workers' favor in 1928, these watch dials and many more insane radioactive products continued to be produced right up through the end of World War II. At that point, the dangers of radioactivity began to be a bit more properly understood. Decontamination studies at the site of Sochocky's plant started in 1983, and the site wasn't fully decontaminated until 2016. Sochocky himself succumbed to radiation poisoning in 1928. His time of death was probably noted on one of his killer watches. 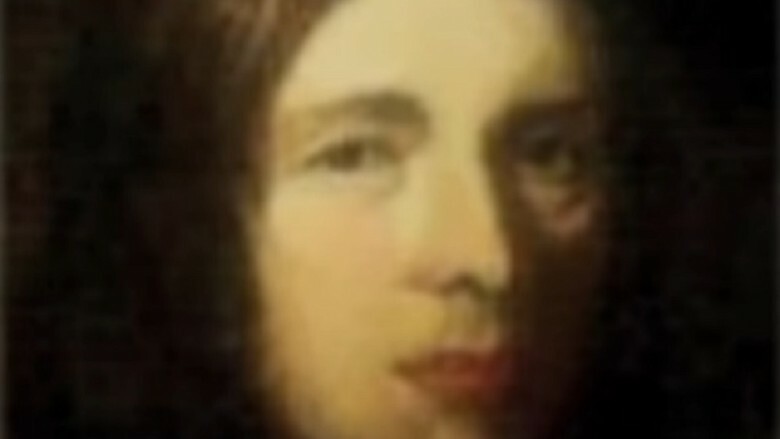 Henry Winstanley created a structure that has saved countless lives — the offshore lighthouse, the first of which came into operation in 1698 and used 50 candles hand-lit by Winstanley himself. Mariners throughout old-timey England probably celebrated by drinking all of the pints, knowing they were finally safe from the dreaded Eddystone Rocks, which is not a Harry Potter reference but sure sounds like one. How can a lighthouse kill its inventor? Winstanley chose the night of an event later known as The Great Storm to make repairs to the thing, and it chose that very time to collapse on top of him. Fred Duesenberg's demise was rather predictable — driving one of his vehicles at high speeds on a slick mountain road, he flipped it and injured his spine. Although he was initially expected to recover, complications developed and he died of pneumonia. In October 1903, 24-year-old William Nelson, an engineer for General Electric, set out to demonstrate his invention for the first time. It was a motor attachment for a standard bicycle, promising to one day let riders travel with ease. Despite his high hopes, the day would soon turn gloomy. The young inventor gained too much speed going down a hill, fell off the bike, and fatally broke himself. Call him an angel flying too close to the ground, but his deadly experiment would pave the way for many midnight riders in the decades to come. As for the unfortunate William Nelson, this ride was his last. He would never be on the road again. In 2004, inventor Michael Dacre unveiled his concept for a twin-jet engine, eight-seater flying taxi that he hoped would revolutionize travel. Designed to require very little takeoff and landing space, these vehicles would soon be zipping around our skies like the Jetsons. But safety was key and, after careful development, the first prototype launch finally happened in 2009 — at which time, the whole dream came crashing quite literally to the ground. With Dacre aboard, the prototype struggled to achieve lift before finally rising majestically to about 650 feet. It then promptly lost control and plummeted un-majestically to the ground. Say what you will about reckless big city cab drivers, but with conventional taxi journeys being 99.9 percent less likely to end in flaming wreckage, the whole flying taxi idea was quietly shelved. Amazingly, a prototype flying car was developed as far back as 1917. But in the 1970s, things got funky. 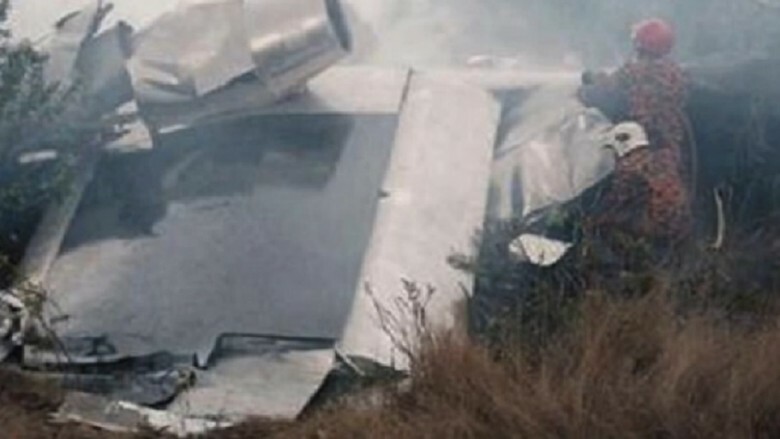 One hilarious attempt at that time involved simply slapping wings and a giant Cessna propeller onto a Ford Pinto, which is widely considered one of the most dangerous commercial vehicles ever produced, prone as it was to just straight-up exploding. Inventor Henry Smolinski and partner Hal Blake actually accomplished multiple successful test flights in this monstrosity, but they failed to account for a design flaw. The wings were designed to detach while on the ground, but during a routine 1973 test flight, they did so while in the air. The inventors found themselves hurtling through the blue in a perfectly standard Pinto, and you can probably guess how that turned out. Strapping plane engines to things with wheels has a surprisingly long history. 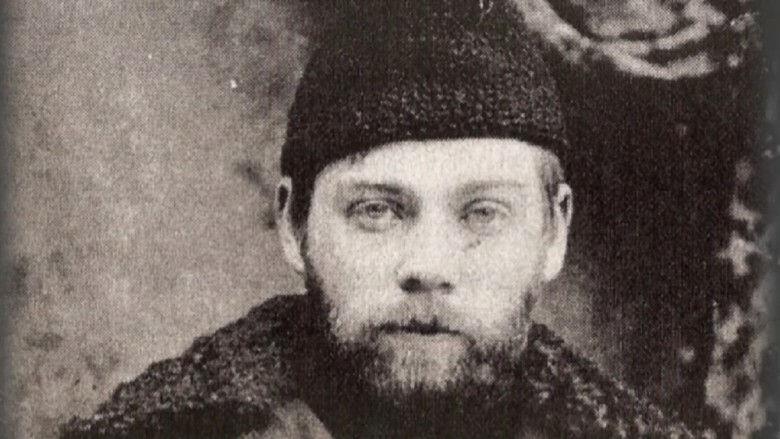 Valerian Abakovsky, a chauffeur for Vladimir Lenin's state security organization, had some pretty sweet connections among high-ranking Russian officials. He used them to advance his ultra-bonkers idea for the Aerowagon — a propeller-powered train car, which sounds like about six different disasters just waiting to happen. Somehow, Abakovsky talked half a dozen top-ranking officials into boarding his insane murder wagon for its initial test run. Shaking, rattling, and terrifying everyone aboard, it managed to complete a 121-mile trip from Moscow to the city of Tula — but on the return trip, physics prevailed, and the poorly designed catastrophe fulfilled its destiny by derailing at an obscene rate of speed. The inventor and several other people were killed. 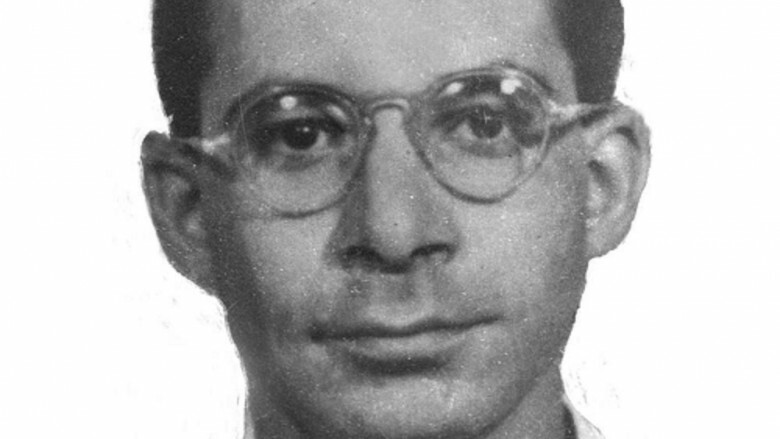 Louis Slotin helped build the first atomic bomb and was considered to be the foremost expert on handling dangerous quantities of plutonium. You may see where we're going with this. In May 1946, he arranged a demonstration of a procedure he called "tickling the dragon's tail" — bringing the core of a nuclear bomb just to the brink of going critical. Witnesses to the experiment saw a blue flash of light — the visual signature of a whole buttload of radiation being released. They were all immediately taken for medical evaluation, and it was quickly apparent that Slotin had gotten the brunt of it. His entire body had received four times the lethal dose of radiation, giving him internal "three-dimensional sunburns," and quickly causing his organs to shut down. He died nine days later. Apparently, the dragon's tail tickled him back. 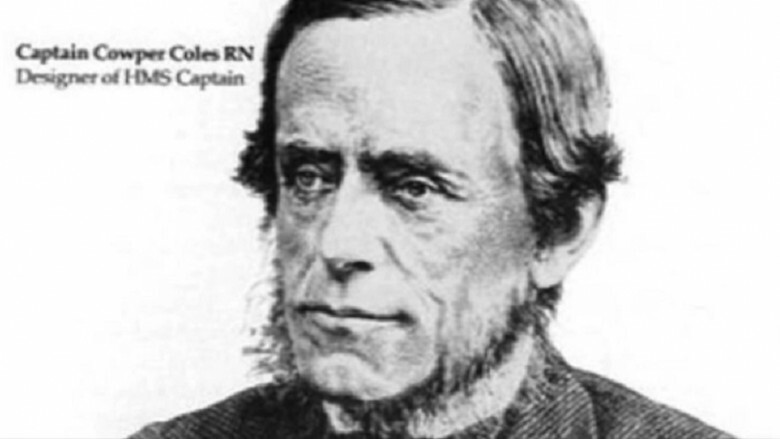 Cowper Phipps Coles was a commander in the Royal Navy and a hero of the Crimean War, and he was also really good at designing guns for warships. One of his later designs, which he patented in 1859, was for a hulking beast of a gun with a revolving turret and a super-wide arc of fire. He managed to get this behemoth installed on several vessels — including the H.M.S. Prince Albert, with the support of Prince Albert himself. But while Coles rocked at designing guns, he didn't know squat about designing ships. The wide arc of fire meant the beast-gun had to sit high up above the water. While previous ships' designers had accounted for this, Coles designed the H.M.S. Captain himself, utterly failing to take the ship's high center of gravity into account. All it took was one gusty storm, and the H.M.S. Captain keeled over with Coles on deck. 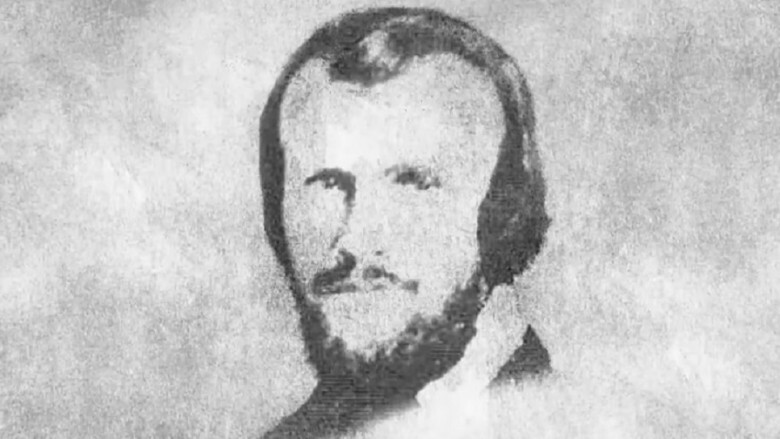 Engineer and Confederate soldier H.L. Hunley built a prototype submarine called Pioneer for the South in 1862. But it was destroyed by the Confederates as Union forces entered the area so the Yankees couldn't steal their technology. Undaunted, Hunley built another version, The American Diver, which was promptly lost at sea. Another version, originally just called "Fish Boat," was built. Hunley completed several successful test runs and manned it with eight crewmen for its first full attack. But five crewmen were drowned when the unsealed sub accidentally filled with water at the dock. A couple months later, after the ship had been rescued, Hunley joined another eight-man crew for a simple test run, which ended with the vessel nose-down in the muck at the bottom of Charleston Harbor. This time nobody survived, including Hunley himself, and the ship was lost for weeks. The Confederates once again salvaged it, renamed it after its inventor, and put it into service. On its first mission, it rammed the U.S.S. Housatonic with an attached torpedo, destroying it and killing five of the 155 crewmen on the larger vessel. But while it still sank the enemy ship, it was a Pyrrhic victory at best. Once again, the Hunley sank, killing everyone on board, officially claiming more of its own crew than of the enemy. It's great that we're one step closer to immortality, and we can thank Alexander Bogdanov for that because he showed us exactly what not to do. Take blood transfusions, for example. They aren't good for everything. They won't cure a broken foot, or make you younger, or turn you into Captain America. But you couldn't tell that to Bogdanov. He just sailed right over the edge with the technique, giving himself transfusion after transfusion from random people and basically insisting that it was giving him superpowers. His friends didn't help, telling him how hot and less bald he was looking. So great did his craving for the bloody goodness become, he pretty much stopped vetting his donors altogether and inevitably dosed himself with a big ol' helping of malaria. 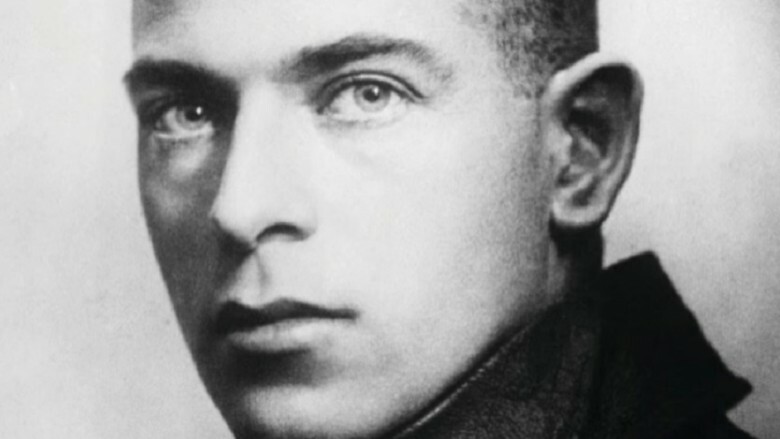 Max Valier was a dashingly handsome 1920s rocket scientist who could easily star in a series of pulp novellas. He was known to stick black-powder rockets on anything — gliders, sleds, and (of course) race cars. But his need for speed drove him to invent a better fuel: liquid rocket fuel, sort of the crystal meth to black powder's Budweiser. 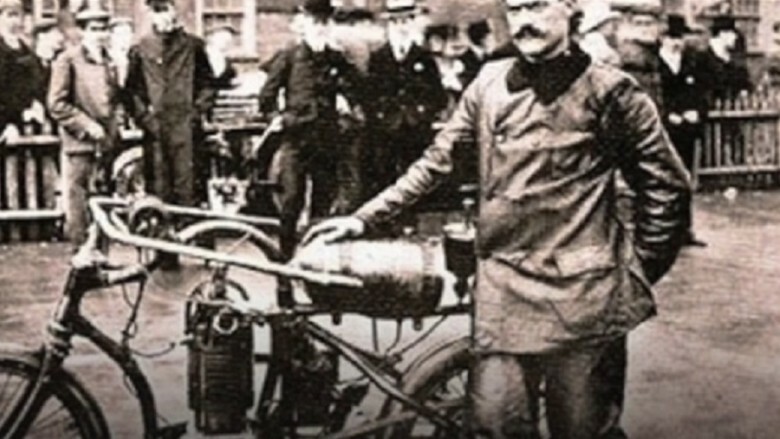 Early tests were done on prototype engines with open valves, to which fuel was added by hand. Experimenters wore no protective clothing, or even goggles, and sat right in front of the combustion vessel. One day in 1930, one of these experiments went predictably awry, when an explosion sent a piece of shrapnel through Valier's heart, killing him almost instantly. The printing press was an extremely useful invention, and one that seems not at all like an agent of agonizing death. 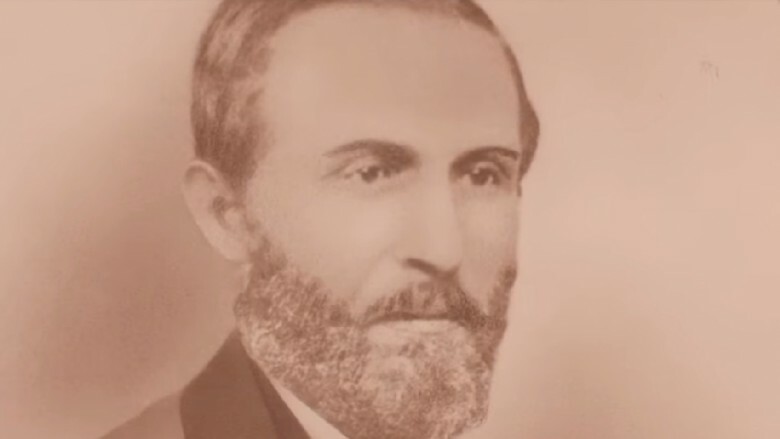 In 1865, inventor William Bullock helped speed up the media industry when he improved on existing printing presses with some changes that enabled old-timey newspapers to quickly print off thousands of their pulpy rags every hour. Bullock installed and serviced the machines himself, and this was his undoing. While installing one of his presses, his leg was caught and crushed by the machine. Bullock died during an operation to amputate the leg a few days later. Imagine a giant teapot screaming down the road at speeds in excess of 120 miles per hour — this is the legacy of the Stanley brothers, Francis and Freelan. Steam-powered cars might sound absurd today, but in 1906 the Stanley brothers' steam-powered "Rocket" set the land speed record by doing a 28.2-second mile. 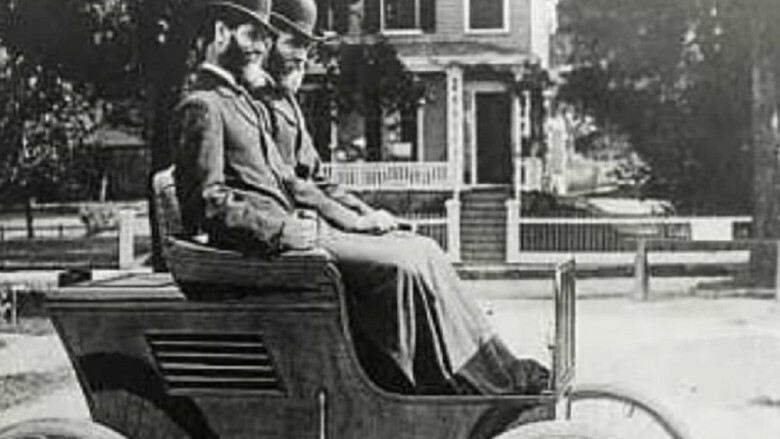 Developments in gas engines, and the popularity of Ford's Model T prevented "Stanley Steamers" from catching on with the public, but Francis held onto the idea of a commercial steam car … perhaps a little too long. 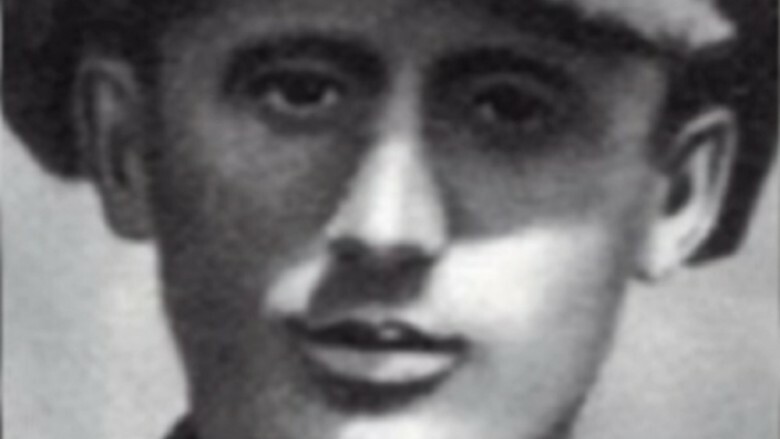 In 1918, while piloting one of his Steamers on a sneaky mountain road, Francis swerved to avoid something and went straight over an embankment, plunging to his death. In 1985, Canadian stuntman Karel Soucek attempted a stunt so insane that even Evel Knievel tried to talk him out of it. 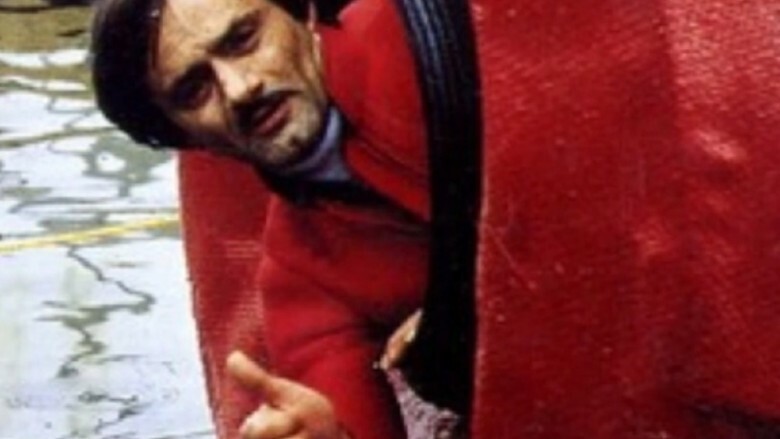 Soucek had survived a trip over Niagara Falls in a barrel the year before, but this stunt was even nuttier. In front of 35,000 people at the Houston Astrodome, Soucek climbed into a specially balanced barrel of his own design and had assistants drop him toward a 9-foot-deep, 12-foot-wide tub of water 180 feet below. It didn't go as planned. The barrel began tumbling immediately, drifted off-course, and struck the rim of the tub, fracturing Soucek's skull and crushing his chest and abdomen. The crowd sat in stunned silence as the stuntman — somehow still alive — was cut from the barrel and whisked away by paramedics. He died shortly thereafter. When Evel Knievel tells you your stunt is too crazy, maybe don't do the stunt. 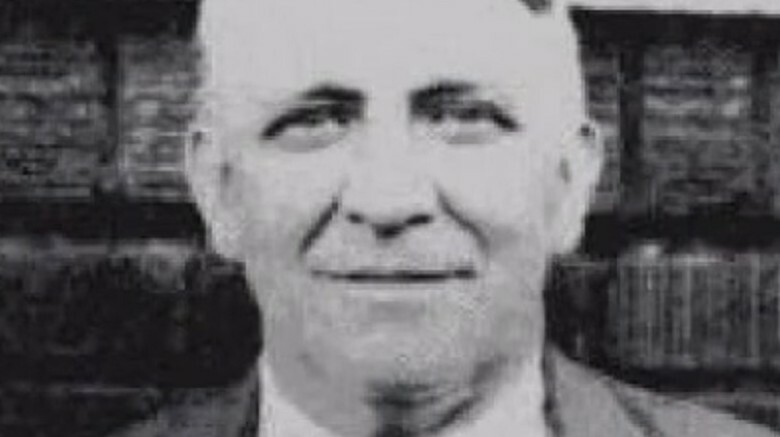 Everyone considers the Wright Brothers to be the fathers of aviation, but Otto "The Glider King" Lilienthal would have told them where to stick it, if he had lived long enough. 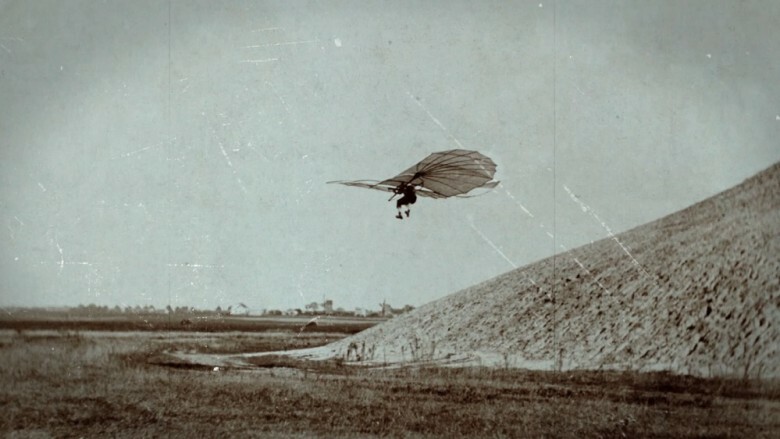 Even before the Wrights flew at Kitty Hawk, Lilienthal was cruising around making sustained, repeated flights using gliders of his own design, flipping the bird to the heavens. Lilienthal developed no fewer than 18 iterations on his design — 15 monoplane and three biplane versions — earning him the most badass nickname of the late 1800s. He's also remembered for two equally badass quotes: "To invent an airplane is nothing, to build one is something, but to fly is everything," and "Sacrifices must be made," both of which he lived up. In 1896, he crashed one of his contraptions and sustained serious injuries, expiring two days later. Austrian-born Frenchman Franz Reichelt was a man with no fear, no engineering talent, and no damn sense. 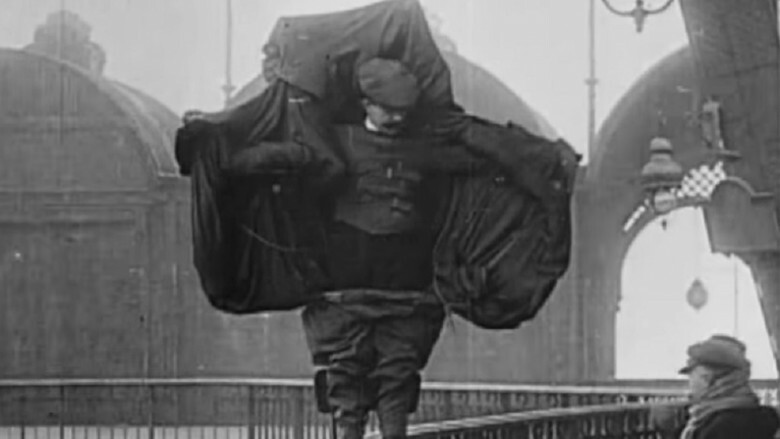 A tailor by trade, Reichelt essentially stitched a whole bunch of overcoats together to make a parachute-flight suit combo, and the French press eagerly gathered at the Eiffel Tower for a demonstration in the winter of 1912. They'd been told a dummy would be used, but Reichelt dramatically announced that he would be making the jump himself, intending to "prove the worth of his invention." Stepping onto a platform almost 200 feet up on the Tower, he steeled himself, spread his stitched-together wings like Batman, and plummeted to the frozen turf. An early film crew caught it all — the world's first and perhaps hardest epic fail.